Last week, we shared Verizon’s latest Pixel 2 and Pixel 2 XL deal that slashed up to 50% off the phone if you traded in one of a handful of phones. We shared it because the list of phones eligible for the 50% off deal was actually pretty solid and still is. This week, though, Verizon has sweetened the deal by adding on a buy one, get one half-off bonus. So now, if you trade-in your phone and get 50% off, you can also grab a second Pixel 2 or Pixel 2 XL for 50% off too. Let’s talk about the details in two parts because as is always the case with Verizon deals, this sh*t is kind of unnecessarily tricky. The 50% off with trade-in part of this deal hasn’t changed from last week. 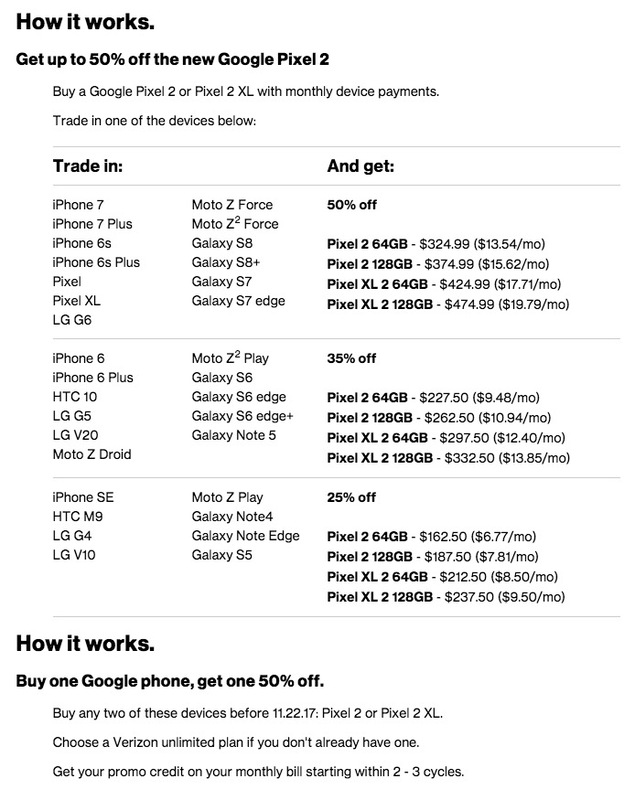 You buy a Pixel 2 or Pixel 2 XL on a device payment plan and then Verizon will still have you trade in a phone from a select list, which will get you up to 50% off in the form of bill credits spread out over a 24-month period. The list of phones includes the iPhone 7, iPhone 6s, Pixel and XL, G6, Z and Z2 Force, Galaxy S8 and Galaxy S7. Again, it’s a solid list of phones eligible for the full 50% off. So as we explained last week, this is Verizon locking you in for two years to get the full trade credit. If you plan to be with Big Red for the long haul, that’s when this deal becomes appealing. For the full explainer on this, read last week’s post. This is the new part of this deal that Verizon just launched. It works similar to the trade-in portion, except you don’t need to trade anything else in for the second phone. 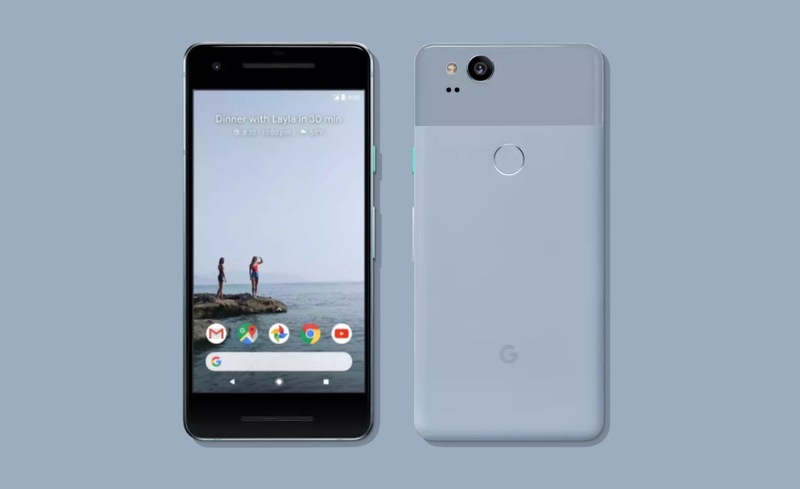 What you do is buy the second Pixel 2 or Pixel 2 XL on a device payment plan that’s also on a new line of service, and then Verizon spreads out the 50% off cost over 24 months. For both 50% off deals, the bill credits don’t start until 2-3 months in, so keep that in mind if budgeting this holiday season. This particular deal is good through November 22. Also, Verizon is doing the BOGO half-off deal for a number of phones like the Galaxy Note 8, S8 and S8+, and Z2 Force.